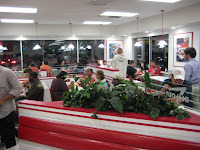 Little did Harry and Esther Snyder know back in 1948 that when they opened the first In-N-Out location that it would grow to become the best fast food burger in the business.The original location only had walk-up and drive-thru service, but nowadays, most In-N-Outs have seating areas. You can only find them in CA, AZ, UT and NV but once there, you can find them everywhere. For Memorial Day weekend, a few friends and I flew out to Arizona to meet up with some other friends in Scottsdale for a little Bromance. After a 4 hour and 30 minute flight, I was pretty damn hungry. 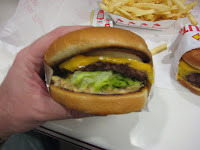 When we passed an In-N-Out location on the way to our condo rental, I had to stop in. 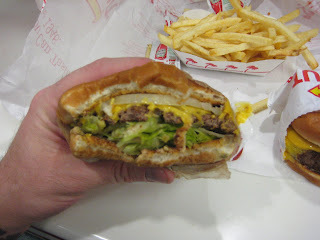 In-N-Out is an institution where looks are deceiving. 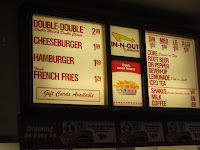 Not including beverages, there are 4 items on the In-N-Out menu: Double double, cheeseburger, hamburger and french fries. But we’re American, we want to feel special, we like it our way and we have secret code words to order our own way. You can go Animal, 3×3, 4×4, Protein and ofcourse, the veggie friendly grilled cheese. 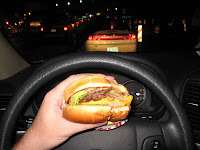 Me, I got 2 cheeseburgers, as is, no funny business. 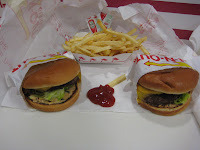 The In-N-Out sauce is so delicious sandwiched between the meet, cheese and toasted bun. 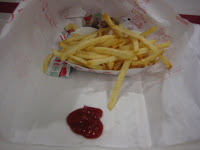 However, for as great as the burger is, the fries are just pedestrian. There is nothing special about them whatsover. 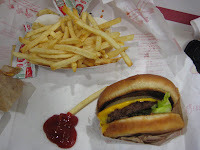 It’s no wonder why people order them with sauce and grilled onions. 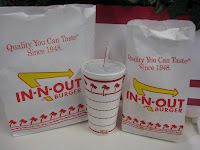 Whether you eat in or drive-thru, you’ll agree, In-N-Out is the best burger in the fast food business. 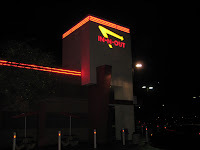 This entry was posted in Arizona, Burgers, Fast Food, Hamburgers and tagged arizona, best burger, burger conquest, cheese, ciancio, drive thru, fast food, french fries, hamburger, in n out, nyc, rev, review, tempe. Bookmark the permalink.